If you have sustained injury as a result of negligent laser hair removal treatment, then Cohen Cramer can help you make a compensation claim for your injuries and losses. Since October 2010, the use of Intense Pulse Lasers (IPL) and lasers for cosmetic purposes has been unregulated. 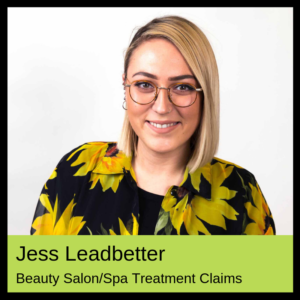 The deregulation of this aspect of the beauty industry has led to an increase in the number of under-qualified salon technicians and a greater increase in the number of actions for negligence against such businesses. Despite the lack of regulation those providing this service should still have a minimum of an NVQ3 or equivalent. If you think you may have a claim get in touch with us today for your initial consultation. enter your contact details in the box at the bottom of the page and we will get straight back to you. We can deal with your claim on a “No Win-No Fee” basis so if for any reason your claim is not successful you won`t pay us a penny for the work we have done on your behalf. What should happen before your treatment? a failure to comply with the above does not automatically mean that the clinic is at fault, however, it is a good indication that they have failed to follow the correct procedure which is always useful in proving liability in your favour. There could be some residual issues that may not constitute negligence such as increased sensitivity to the treated area and some pain and discomfort for a short period. This may be normal and should be explained to you before the treatment began. The most common injuries leading to claims are burns, discolouration (hyper-pigmentation and hypo-pigmentation) and scarring. In addition, as a result of the above, you may suffer from psychological problems. We can help you claim compensation for any of the above or other types of injury that have resulted from poor or negligent treatment. The level of damages will depend upon the extent and duration of the injuries and suffering experienced, as well as the individual circumstances of the injured party. We would look to claim not only for the pain and scarring/burns and or psychological damages that you may suffer but in addition, we would seek to recover for all your financial losses that have arisen from the incident. Remember, your claim can be dealt with on a No Win-No Fee basis taking away the worry of paying your legal fees.